wideThe Pulaski County Special School District Board of Education was elected in November of 2016 and seated on Tuesday, December 13, 2016. At their first meeting, the Board drew for terms and elected officers. Mike Kemp, a native Arkansan, is in his second term as Mayor of the City of Shannon Hills, in northeast Saline County, which is in the southwest corner of the Pulaski County Special School District. He is also an anchor/reporter for the Arkansas Radio Network, as well as KARN AM 920/102.9 FM. He serves on the Board of Directors for Metroplan and is a member of the Executive Committee for the Arkansas Municipal League. He has more than 30 years of leadership and team building experience. Kemp was assignment editor for KLRT-TV Fox 16 news from 2007 to 2013. Prior to that, he served as Arkansas’ eGovernment Director with the Arkansas Office of Information Technology. Kemp served almost four terms as a member of the Shannon Hills City Council. The National Rural Telecommunications Congress asked him to serve on its board in 2005. He spent three years as an enthusiastic board member, including one year as president and one as secretary. 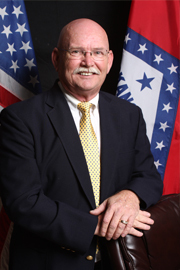 He served two terms as Justice of the Peace for District Two of Saline County. He has extensive knowledge of local and county government. Prior to joining Arkansas state government, he worked in the broadcast industry in Arkansas, Florida, Louisiana and Texas. 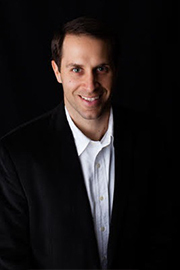 He also is a former small business owner and real estate entrepreneur. Kemp graduated high school in Mineral Springs and attended college at Arkansas Tech University in Russellville and Ouachita Baptist University in Arkadelphia. He has been married more than 30 years to his childhood sweetheart, Penny. They have two adult children and four grandchildren. 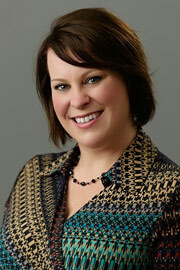 Tina Ward has been employed by The University of Arkansas for Medical Sciences (UAMS) since 2003. She has two adult daughters and a grandson, along with several children she has had the opportunity to mentor throughout the years. 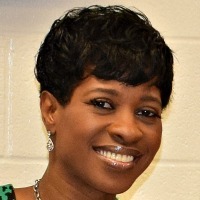 Her daughters both attended Fuller Elementary School and Junior High School, Daisy Bates Elementary School and Mills University Studies High School. Ms. Ward has mentored children for more than 30 years within her community and church. She joined the Pulaski County Special School District Board of Education to be able to help support the district by making good, solid decisions and encourage policies that ensure quality education for all. 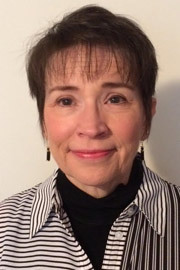 Dr. Linda Remele, a retired Pulaski County Special School District educator, received a Bachelor of Science degree from Texas Tech, a Master's degree from the University of Central Arkansas and a doctorate in Educational Leadership from the University of Arkansas at Little Rock. She was a teacher, counselor, principal, director of elementary education and deputy superintendent during her extensive career at PCSSD. Both her son and her step-son graduated from PCSSD schools, and her two granddaughters currently attend PCSSD schools. Remele currently is on the board of directors for the Arkansas Retired Teacher Association, is co-president of the North Pulaski Retired Teachers organization, is co-chairman of the Sherwood Education Foundation and is active in her church. She volunteers two days a week at Sherwood Elementary School, one day a week at Sylvan Hills Middle School and one day a week at the Jacksonville Care Channel. Shelby Thomas grew up in the Sherwood area and is a proud graduate of PCSSD. He attended Homer Adkins elementary, North Side Junior High and Jacksonville High School. 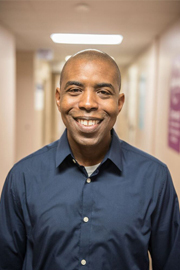 He has a degree in Electronics Engineering and works for Irby Electrical Distributors as an Energy Specialist covering Arkansas and Northern Louisiana. As a Reality Class Pastor, you can find him any given Sunday or Wednesday volunteering his time to minister to and pour into students' lives. He truly believes the next generation will change the world. Shelby also serves on the Board of Directors of First Assembly of God NLR where he has been a faithful member for 20 years. Shelby volunteers with Sylvan Hills Booster Club where he has served as President the last three years. He also serves as the Secretary for the Sylvan Hills Bears Foundation. He and his wife, Leigh, have been married since 1994 and call Sherwood home. They have three children, all of whom attend or have graduated from Sylvan Hills High School. Biographical information to be added soon. 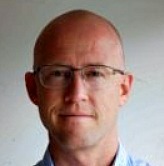 Brian Maune, a lifelong resident of Little Rock, is an Area Manager for a specialty chemical company. He received a Bachelor of Chemistry from Arkansas Tech University, followed by a Master of Science in Operations Management from the University of Arkansas. Maune and his wife, Jennifer, have four children with the oldest child currently attending Chenal Elementary. He is an active member of Fellowship Bible Church where he serves in the children’s ministry, and he serves as President of the Aberdeen Courts Property Owners Association.